Our life is regulated by the passage of time, and in particular by the alternance of day and night. This rhythm of about 24 hours, that we take for granted, does control the life of many living beings, including animals and plants, and it is also called circadian rhythm. Circadian comes from Latin and it means “about” (circa) “a day” (diem), that’s because the rhythm in discussion is not always precisely 24 hours but it might vary a bit. To be more precise, the term circadian rhythm needs to be used only in reference to phenomenon that originate from within the organism (endogenous). In fact, the living beings that follow the circadian rhythm do that also in the absence of external stimuli such as (sun) light or temperature. Simplifying we could say that many living beings have an internal clock of about 24 hours that regulates the physiological processes and biological activities (sleeping, eating, hormone production, cell regeneration…). Often, people don’t know the term “circadian rhythm”, but they do know the immediate consequences of cycle deviations. For instance, people with jobs that don’t allow to closely follow this natural cycle (e.g. airline pilots), can easily manifest fatigue, and if not taken in consideration they can also see more important effects over time. A complete disruption on the internal clock might lead to dramatic consequences for the organism such as increase of risk of cardiovascular events, obesity but also depression, and bipolar disorders. This rhythm has been studied since long time across all living beings including human beings. The studies prove that respecting the 24-hour rhythm is instrumental for a good mental and physiological health of the human being. Considering its impact on the organism and the neurological system in particular, this phenomenon has been taken in consideration even for the development new forms of “lite torture” (e.g. sleep deprivation) implemented by regimes who claim to respect international laws and human rights. On the positive side, instead, the learning from the many studies helped improving the design of spaceships environment so to replicate the day/night cycle on hearth hence improve the life of astronauts on board. The concept of the importance of a 24 hour cycle for the organism is emphasized also by the Chinese traditional medicine. The Chinese refer to the Chi Cycle as the cycle that the ultimate source of energy (Chi) makes through our main organs during 24 hours. According to them, being in sync with this cycle and the cosmic flow of energy will improve our health and happiness. Similarly, the Ayurveda traditional medicine (historically from India) divides the day in two cycles of 12 hours each separated by sunrise and sunset. 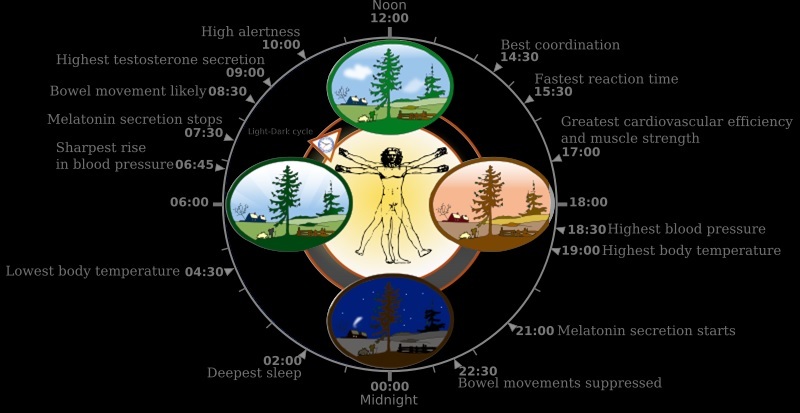 This is the reason why it is important to regulate our life through cycles of 24 hours, and by the way, to sync our life with the natural day / night rhythm. In order to do that, we have clocks and watches, some are based on the traditional 12 hour cycle while other watches leverage the more peculiar 24 hour cycle. There exist also watches based on the Double-XII system (very rare) in which the dial reports two times 12 hours so to have a full cycle view at a glance yet divided in two periods of 12 hours each. These last are the best to monitor, plan and sync our life with the natural rhythm and with our internal clock.